The other night, my friends come over for dinner and I made it. Then, I needed something to zuzsh up some pasta salad, so I added it. Then, last week, Joanna came over for a day of epic cookery, and we made it again. 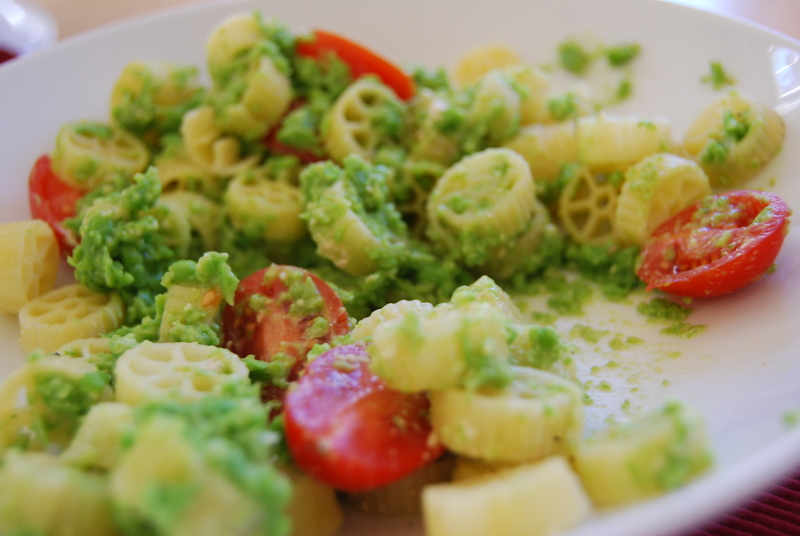 There is no situation that cannot be made better by pea pesto. And that probably includes some emergency situations, or situations wherein you are not even eating. Like a tennis match, perhaps. Or maybe even a trip to Disneyland. I’m just saying. You won’t be sorry. This recipe is the perfect blend of spicy garlic and smooth olive oil, which allows the freshness of peas to take front and center. 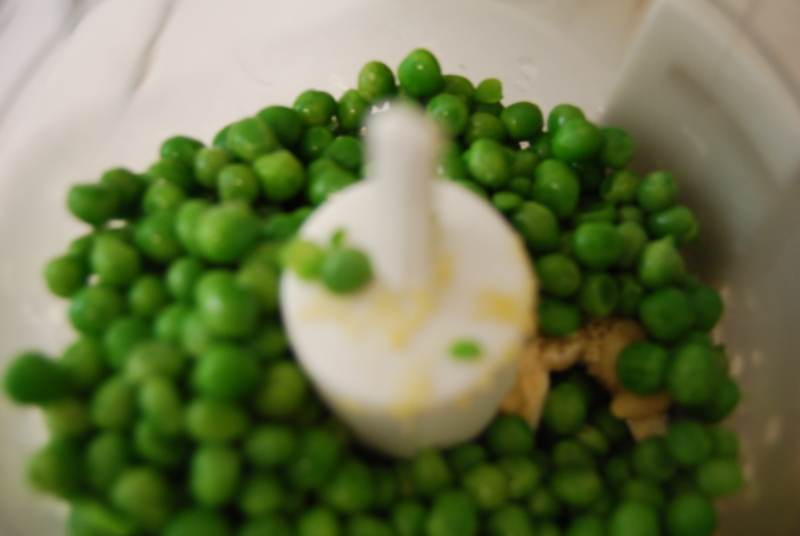 Even when you use frozen peas (which I usually do) the Spring pea flavor bursts forth. 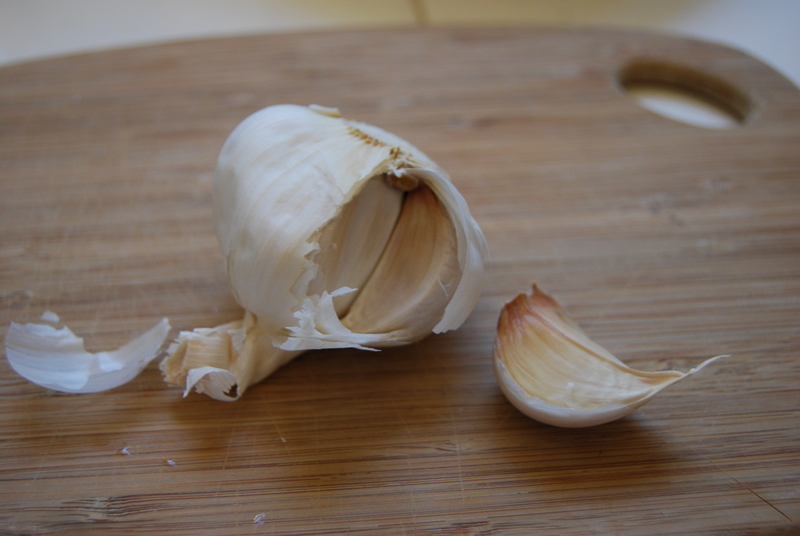 It pairs deliciously with any shape of pasta, and is also a fabulous topping on crostini or as a dip for fresh bread. Also, possibly it’s most sterling feature, it takes about four and a half minutes to make. A maximum of 12 if you boil your pasta at granny pace. Which I know a lot about, as I do most things at granny pace. Running, biking, swimming, water boiling. Etc. Anyway. 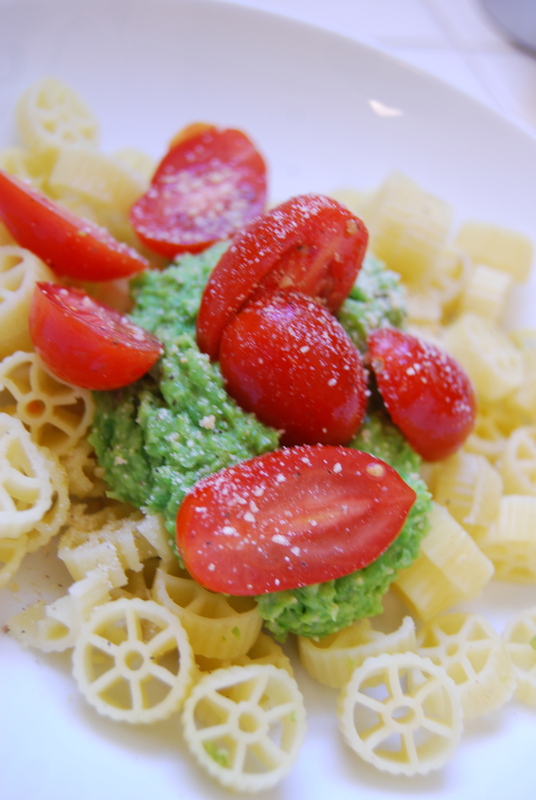 This pesto is good. And delicious. And mostly healthy. And though I’ve never brought it down to Disneyland, I would consider it. Do mice eat peas? 1. 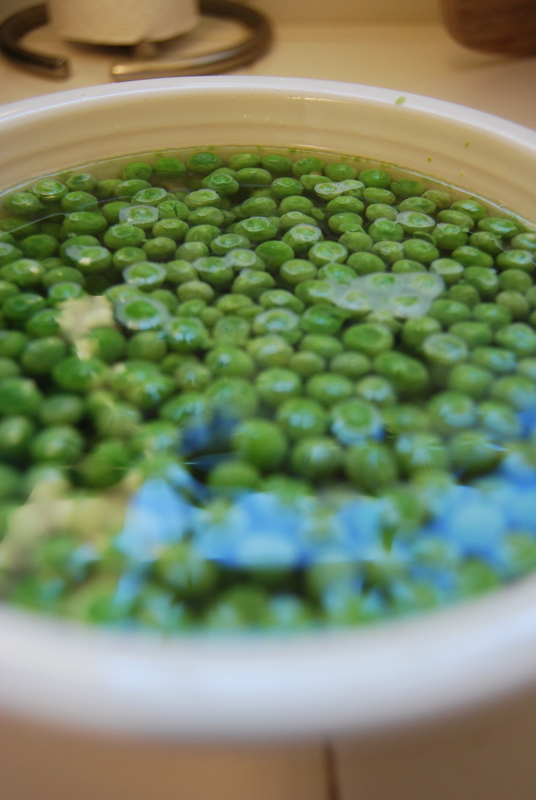 Microwave the frozen peas in a bowl of water on high for three minutes, or on the stove top in boiling water, or use the same amount of fresh peas. 2. While the peas cook, put the water on for pasta. 2. Chop the garlic, then put all the ingredients in the Cusinart Mini-Prep or another food processor or blender and zoom zoom zoom! 3. 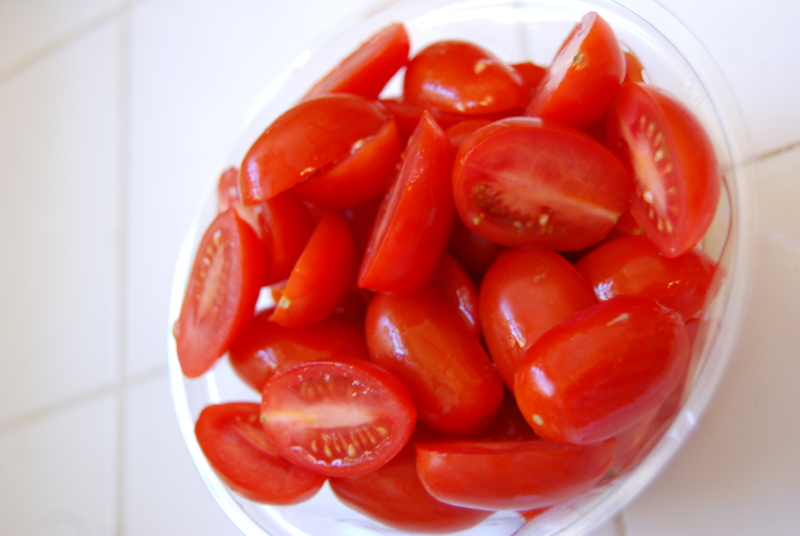 Mix with the pasta and add in cherry tomatoes, if desired.
. I’m officially becoming obsessed.
. THE funniest Twitter feed.
. A must-have for ice-cream aficionados!
. 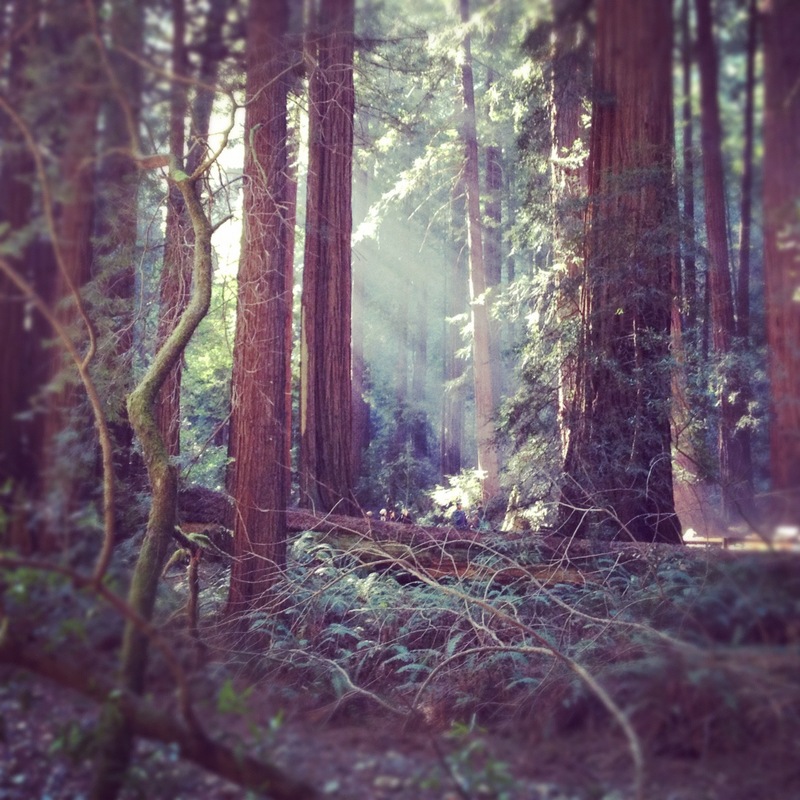 These are beautiful – and going on my wish list immediately.
. SF SketchFest ends next week – who wants to go? You? You? It’s sunny again this weekend, so tennis (both on the court and with the Australian open) and an al fresco dinner with friends are in order. What are you doing? Do you ever feel like it’s impossible to get people together? Do you ever feel like you’re the only person who has left a Friday open, only to find that everyone else is out of town and you’re left looking from the outside in? Or at a dinner party scheduled several years ago? I have a friend – whom I love – but I can never see because she is busy every weekend now until June. And it’s January. Where did the spontaneity go? I am always torn between leaving room for impromptu fun, or booking up my weekends until forever, just because that seems to be the only way to make sure I can play with my friends. What do you do? Are you a game time decision maker or by-the-book planner? I’m curious about your weekends! If you need me this weekend, I’ll be at a film screening and having dinner with friends. A plan we made three weeks ago. Yeah. I know. It’s been awhile since an album caused any sort of feeling for me, other than the feeling that I’d heard it all before. I can count on one hand the albums that were total game changers in terms of how I knew music could even sound (see: every single Tallest Man on Earth album, Bon Iver’s Blood Bank EP, and the first time I heard Debussy – Clair de Lune! – at age six) and I’ve been in a bit of a music funk for awhile now, in search of something new. But after playing around on rdio last week, I found AgesandAges, and it’s become my new go-to music. 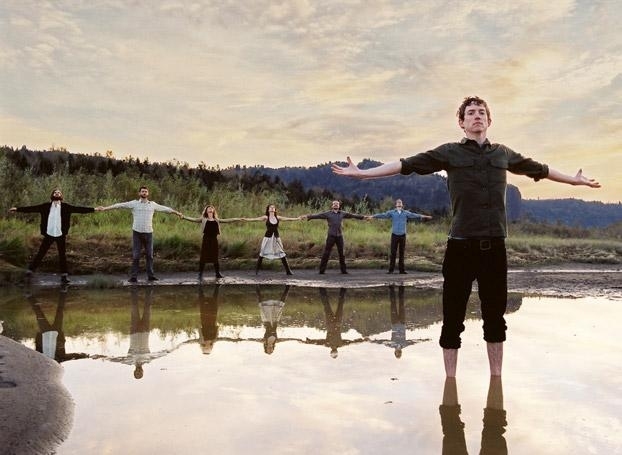 According to their website, they specialize in “tent revival harmony” and they capture a “sense of earnestness and exuberance”. Fine, fine. I just say, in the midst of a rainy, crappy San Francisco January, Alright You Restless is the musical equivalent of frolicking barefoot through a field. I could use a little more frolic, you? You know when you’re at the grocery store, and you look at something delicious and indignantly think, “I could totally make that!” and then you go home and start watching Downton Abbey, or go for a run, or chat to your long distance boyfriend on the phone for three hours, and then wake up the next morning and go about your business and you never make that thing? Even though, you know, you obviously could. Ahem, peanut butter cups, kettle chips, and ice-creams! I’m lookin’ at you. I never thought any of that with cheese. Cheese was, to me, something that came only from the great cheese-making people in the sky. Even though Sesame Street showed me otherwise in the late ’80s, and I’ve remembered that awesomely ’80s clip all these years, it truly never occurred to me that I, too, could be a great cheese-making person, right in my own kitchen. Until our Joanna showed me otherwise. Did you guys know you can make cheese right in your own kitchen? And then eat it, while watching Downton Abbey? Not totally in your kitchen, but still inside your own house? Unless you have a TV right in your kitchen and then you just win. This recipe does require a few tools the average cook may not have: a cheese cloth, a cheese thermometer (no, you cannot use your meat thermometer, I already asked that), and a bowl large enough to hold your colander and accommodate whey runoff. Yes, whey. I know about whey. Because I make cheese now. 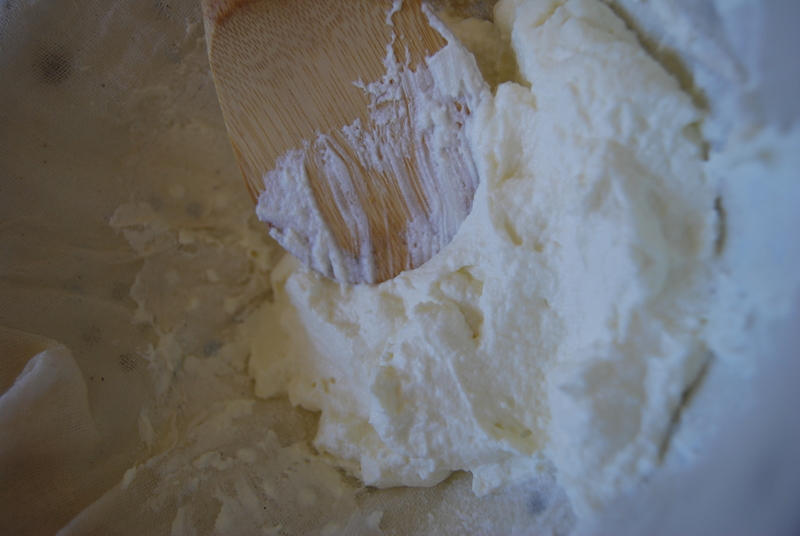 This recipe is for a delicious, creamy, spreadable ricotta, perfect for bruschetta, lasagna, mixing with honey and fruit, spreading on sandwiches, and just eating with a spoon if you feel so inclined. And why wouldn’t you? It’s your kitchen, after all. Go on about your business! Go make that thing! 1. 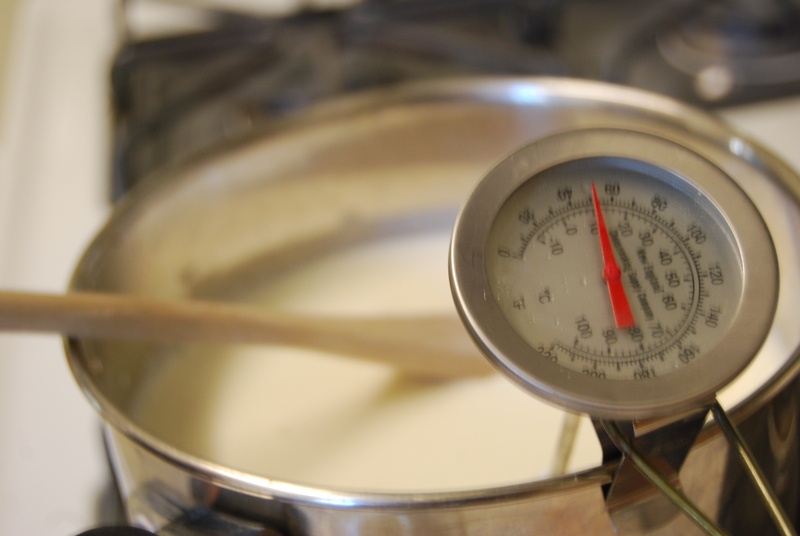 Combine the whole milk, cream and salt in a large saucepan and heat to 190 degrees, stirring occasionally so it won’t scorch. 2. 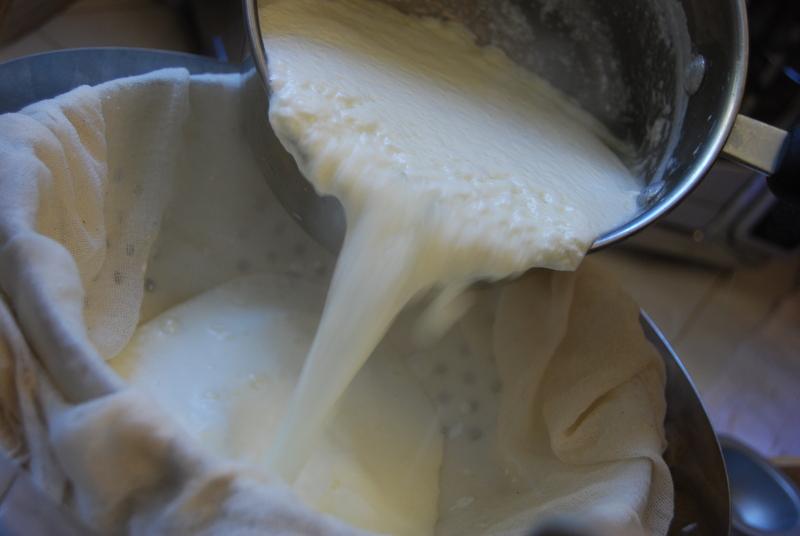 While the milk and cream are heating, rinse out a cheese cloth and spread it across a colander in preparation for draining. Then, halve and squeeze two lemons for the fresh lemon juice. 3. Once the cheese has reached 190, add in the lemon juice, stir once more, then let it rest in the saucepan for five minutes untouched. 4. 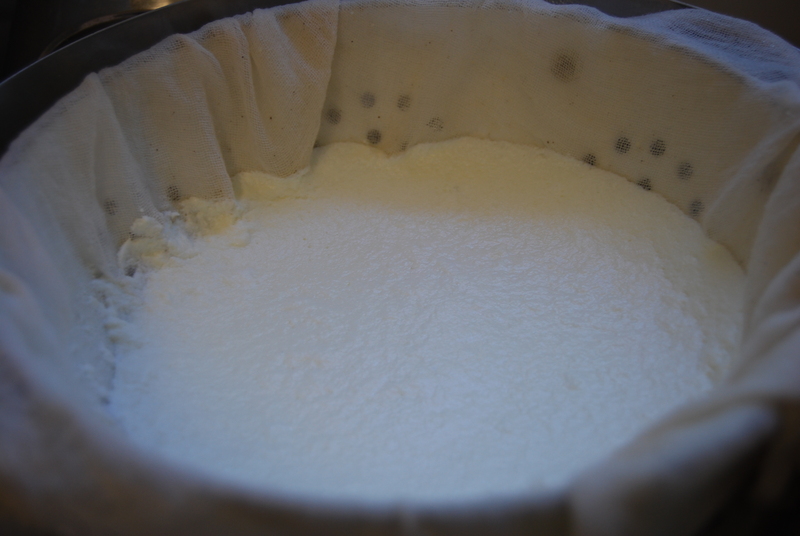 Pour the cheese mixture into the cheese cloth, then place the colander inside a large bowl, to catch the runoff. Also known as whey, for those familiar with cheese making. Or, you know, Little Miss Muffet. 5. 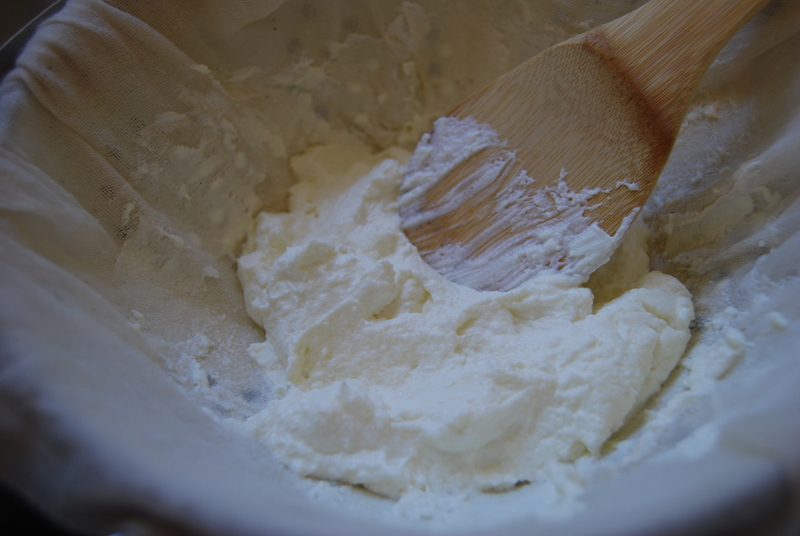 Empty the initial whey, scrape down the sides of the cheese cloth, and gently press the cheese mixture down. Then let it rest for about an hour for a creamy cheese, two hours for a firmer, more dense cheese. To store, press into a tupperware dish and refrigerate for up to three days. In preparing for a formal brunch we’re hosting at work this week, I’ve been spending some time re-imagining my wardrobe based around a clean, fresh palate. The blush tones bring out a soft glow, and the neutral accessories keep this ensemble feminine, yet professional. And the Hermes, of course, is a pipe dream. Unless any of you would like to bring over such a handbag? You?
. My live-in-a-barn fantasy continues! This weekend I’ll be heading down to the peninsula for a little tennis, a little lunch on the terrace, a little G&T action, and then dinner with fabulous lady friends. 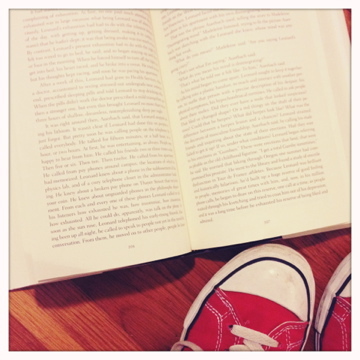 Quite possibly a perfect Saturday. What are you doing?